My brother-in-law made it because this way it doesn't need a battery. Thanks to my brother-in-law for making it! very nice. 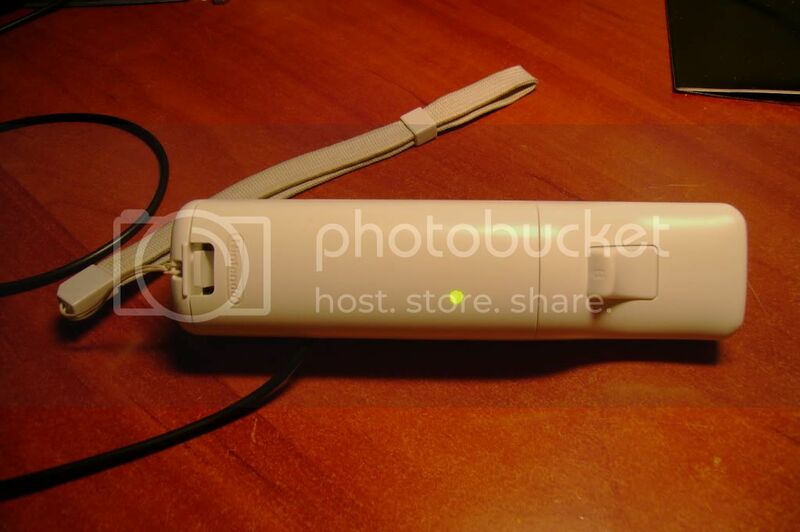 this is something i was going to look into for when i upgrade from my vx-1000 webcam to wii remote. buy this for 10 euro ! And your Wiimote is always powered from usb. I bought mine at Dixons (store), but can not find a link.... 10 euro! Very cool - this is the easy way. 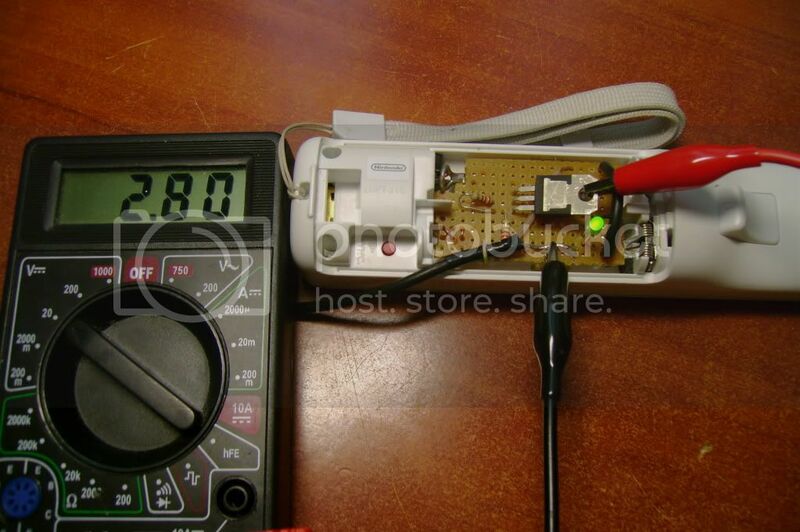 It is easily done, even if it is your first electronics project! I have designed a PCB but it can be easily done on a veroboard, as you can see on the photos. 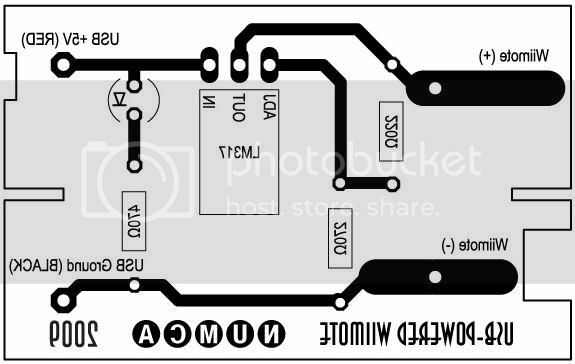 * This mod is based on a LM317 voltage regulator, which takes the USB's 5V and outputs 2.8V, ready to be used on the Wiimote. It DOES not destroy your wiimote, the only "hack" is a hole to pass the usb cable through (and an optional LED "power-ON" indicator light). Edited by NuMcA on 07/12/2009 at 01h17.